Charm your way to success on a slithering adventure through the middle-east. 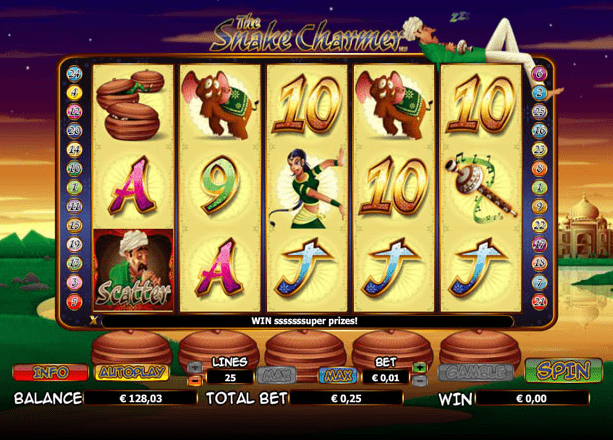 The Snake Charmer offers 200 ways to win across this scintillating slots play game. NextGen gaming is fast becoming one of the leading developers across the online slot gaming network after their foundation in 1999. NextGen believes in delivering games with integrity and providing gamers with unforgettable gaming experiences. If you’ve ever played Foxin’ Wins then you’ll be familiar with the quality of NextGen’s games, and you can find slot games at this link today. The Snake Charmer, one f the top 10 online slot games in our list, is a standardised 5 reel slot game with 3 main rows and a sizzling 25 paylines. Enjoy the fragrant cultures of sun-soaked Bombay in this Indian themed online slot game and befriend charmers to lure the serpents from their baskets to win some lovely jackpot prizes. If you’re looking for your bonus feature content then keep reading, all the free spin bonus round joy can be found below. In addition, enjoy the charm and atmospheric Indian music that really makes you feel like you are traversing through the Indian streets as a professional snake charmer. The Snake Charmer is no different to any of its counterparts in terms of its betting structures with players having the opportunity to place bets for as low as 1p, stretching all the way to the big-deal high-rollers who can bet up to £50 per line. The forked tongue of the snake allows leniency for all budgets. If you’re looking to ease yourself into the gaming experience then why not sample the game via the no risk demo mode that has become a familiar feature of new games within the slots market. As we mentioned above NextGen have incorporated an Indian theme into the Snake Charmer and this is evident in the picturesque background that lies beneath the game board. Enjoy the luscious rolling hills and the sunset beating down on the Taj Mahal and the holy lake. The reels are filled with numbers and letters along with elephants, and barrels filled with venom-spitting pythons. And now we get onto the bonus features. Only a true snake charmer understands the true meaning of the options that lay before him. Free spins are awarded when the gamer lands three or more of the snake charmer scatter symbol anywhere on the hazardous reels. This game lacks multipliers but there’s always the chance of increasing your bounty following every spin. This feature is the reason why you’re all still here; the Gamble feature is a high risk, high reward option that enables you to stake it all and guess the correct suit to not only double, but quadruple your winnings. 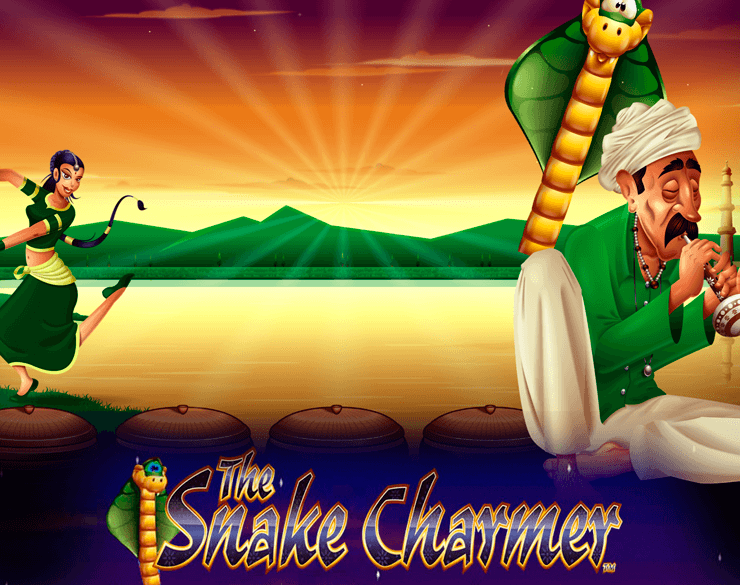 Calculate the risk and stake your claim, become the greatest Snake Charmer that ever lived. NextGen has done a great job at incorporating an often overlooked theme into a slot game while delivering a slot filled with exciting twists, turns and bonus features. The gameplay is comprehensive and this is supported by the detail and immersive nature of the symbols and spinning methods. Wizard Slots would recommend this game to all players new and old.